As I mentioned in my Day 1 post, unfortunately the Sunday of London Fashion Week AW15 was very short lived due to the torrential rain that had us running for cover as soon after these outfit photos were taken. It continued to remain miserable for the entire day, which led to us missing all of our shows and calling it quits after a couple of hours. By the time it came to the third day of Fashion Week, I had already decided that my outfit choice no matter what was revolving around my trainers as two 12 hour days in heel had crippled my poor feet. Now I'm not entirely sure that this fringed, suede 70's inspired look really works with my 80's style Adidas Superstars, but comfort was key for that particular day. ing on trend this season too? Plus, I've always been a fan of fringing, there's no denying that. I picked up this suede skirt in a charity shop for just £3 and it looks ever so similar to one in the recent Zara lookbook. Upon finding this suede sensation I did give myself a mental hi-five, because I mean... come on! £3! That's my final LFW outfit until next season. 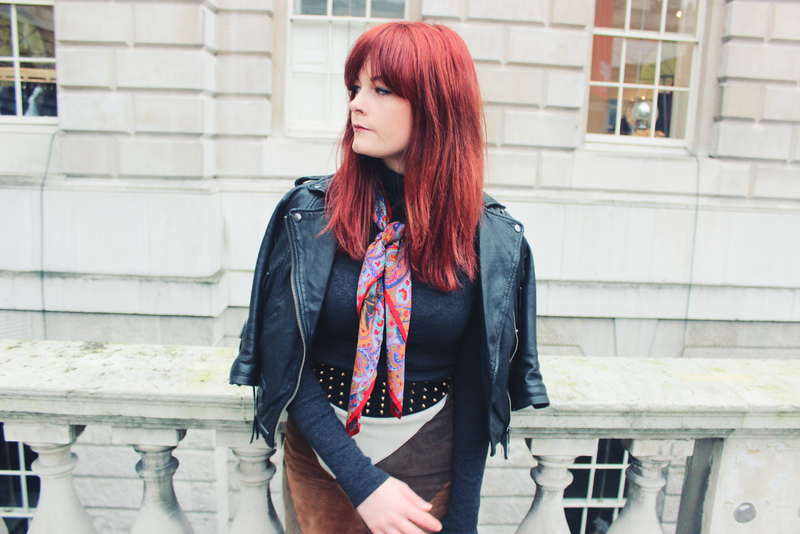 Luckily for me, it looks like the seventies are set to stay until AW15, which I cannot be more excited about. What are your thoughts on the 70's trend for next season? £3?! Such a bargain! Shame about the rain, it's been getting in the way of my blogging pictures recently - and this weekend it's supposed to be super windy which is just as bad! 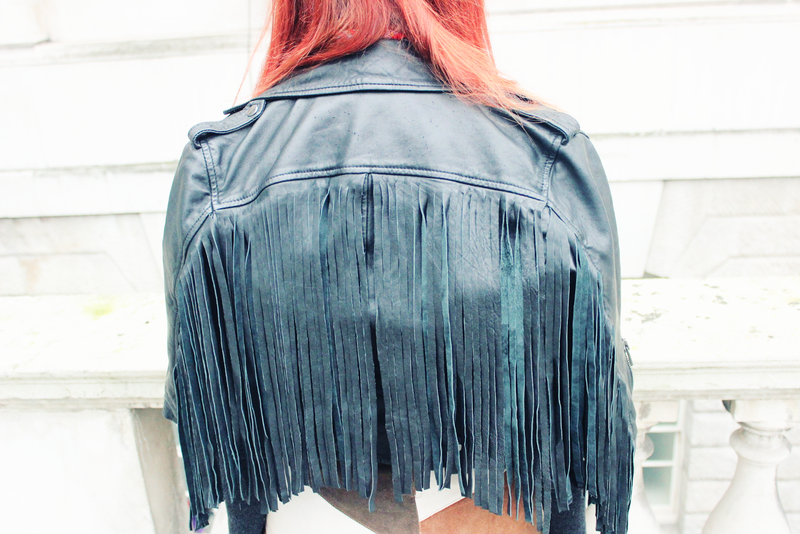 Beautiful jacket and I most love the fringes!! Awesome look :) The fringe jacket is PERFECTION !!!!! !